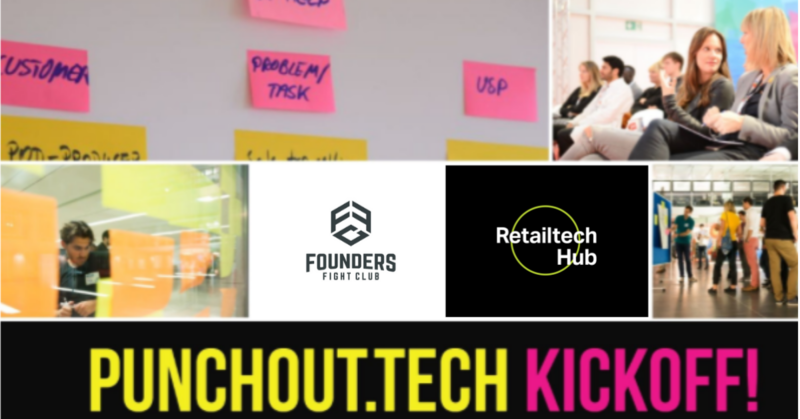 We call it PunchOut.Tech and this event is the kick-off event of the first Retailtech Edition!!! And yes – it’s free! This is a blended learning program where you’ll get to take part in three live events and get access to the finest learning material online. Furthermore, in this program, you become an expert on establishing Product Market Fit! For every business adventure, you’ve ever dreamt of. Why did we do it? Because we can! After this kick-off event you may decide it is not for you – cool! You may want to go full throttle and kickstart your startup into action – cool! You’re not quite sure whether you can keep the commitment but want to give it a try – also cool! A Hackathon is often too short to kick-start something great. Our program is eight weeks leading up to a great final event where the challenge provider awards a career advancing fun prize to the best challenge solvers. Seed-Accelerators often have you decide on the venture of your life in the first couple of weeks, leaving too little room for pivots and re-designs. We’ve developed the best blended learning experience, but you’ll apply it to real problems from real companies! Want to apply to your own startup during or after the program? Go for it, Tiger! Let’s bring the icing on the cake? PunchOut.Tech is powered by the Founders Fight Club and their friends and partners. We’ll take care of the costs. You don’t pay a single cent for participation. Most of this learning experience works online in Webinars, Slack, email, and eLearning. Are you excited? We certainly are!! !